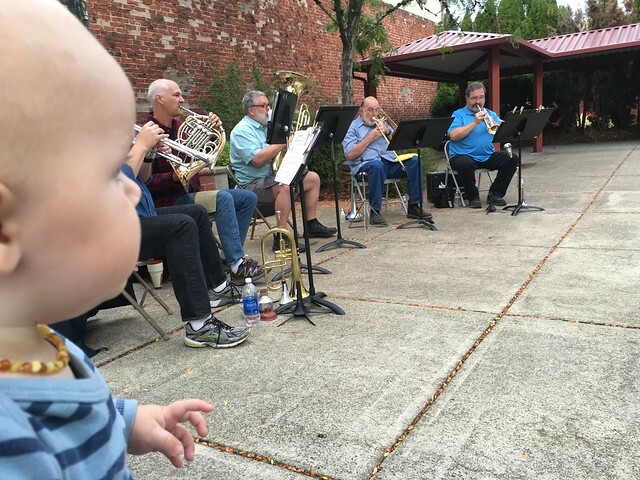 It appears as though Lincoln and I are the only audience present to hear Newberg Brass play a “ragtime/pops” concert last night in Francis Square as part of the downtown First Friday events. But that wouldn’t be the case. 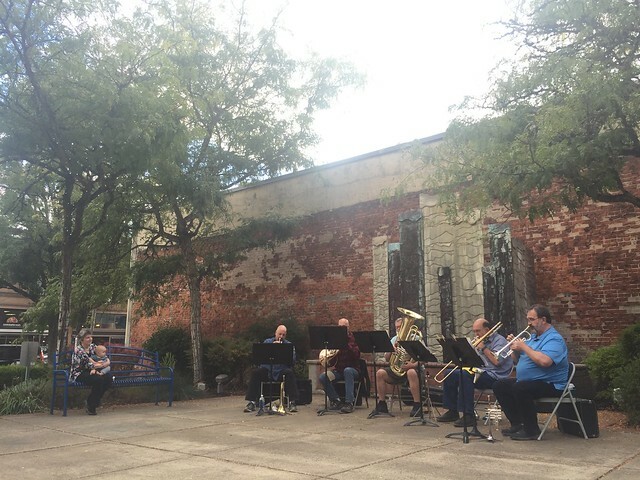 They always draw a lovely “crowd” of Newberg Brass fans, many of us family members. 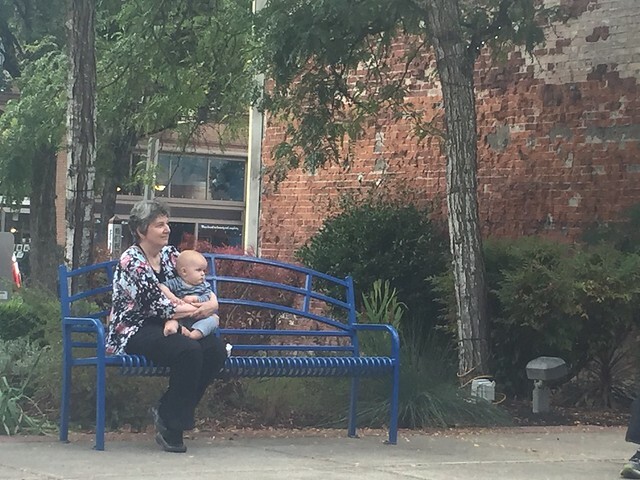 John Macy caught this moment at a favorite event. We’re always glad when the weather cooperates. The guys still play great, keep adding songs to their repertoire, and remain good buddies through weekly rehearsals and occasional gigs like this one. We are beyond excited that we will finally be able to enjoy these concerts!!! !